Description: In recent months you've heard about the Wasaga Beach Brewing Company, which Beach BOOSTER Media Group is a proud media partner. 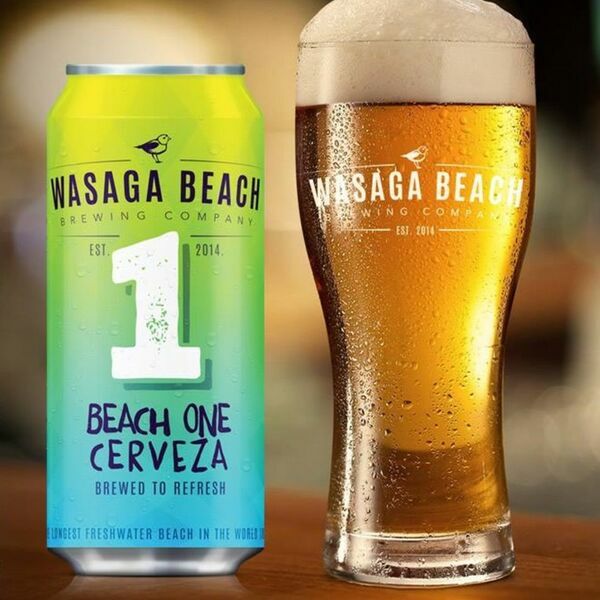 The company developed their own recipe for their first beer named, "Beach One Cerveza". Everyone has been asking "Where's the Beer?". To help you answer this question, Dianna's guest via Skype is David Cubitt, President of Wasaga Beach Brewing Company and Committee Member of Wasaga Film Festival. David will share some of his fond memories of Wasaga Beach and the local company's exciting plans for this summer in The Beach! "WASAGA!... That's how we say Cheers around here!" In recent months you've heard about the Wasaga Beach Brewing Company, which Beach BOOSTER Media Group is a proud media partner. The company developed their own recipe for their first beer named, "Beach One Cerveza". Everyone has been asking "Where's the Beer?". To help you answer this question, Dianna's guest via Skype is David Cubitt, President of Wasaga Beach Brewing Company and Committee Member of Wasaga Film Festival. David will share some of his fond memories of Wasaga Beach and the local company's exciting plans for this summer in The Beach! "WASAGA!... That's how we say Cheers around here!"